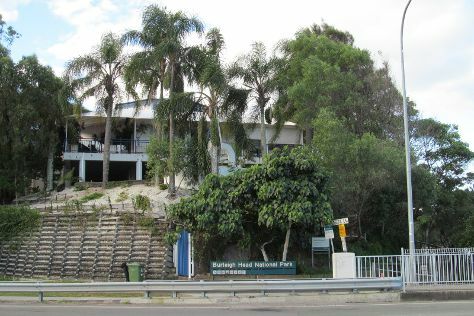 We've included these beaches for you: Greenmount Beach and Kurrawa Beach. Explore hidden gems such as Burleigh Head National Park and Kayaking & Canoeing. Explore the numerous day-trip ideas around Gold Coast: Tweed Regional Gallery & Margaret Olley Art Centre (in Murwillumbah), Fingal Head Lighthouse (in Fingal Head) and Byron Bay (Belongil Beach, Cape Byron Lighthouse, & more). Spend the 4th (Tue) exploring nature at Natural Bridge. There's still lots to do: kick back and relax at Kirra Beach, pause for some photo ops at Captain Cook Memorial and Lighthouse, look for gifts at Miami Marketta, and stroll through Surfer's Paradise Beach. For more things to do, reviews, ratings, and other tourist information, use the Gold Coast holiday builder . In December, daytime highs in Gold Coast are 32°C, while nighttime lows are 22°C. Wrap up your sightseeing on the 9th (Sun) to allow time to travel back home.